Florida's Space Coast is a great place to sight fish in the summer conditions of July. In this report, Capt. 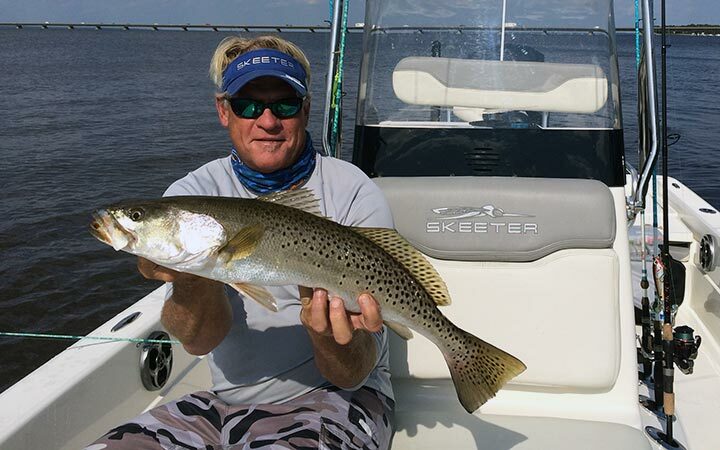 Chris Myers show us what he uses to target redfish and trout on the Mosquito Lagoon flats. He has had success with the D.O.A. airhead soft plastic bait rigged weedless with a widegap worm hook or the D.O.A. CAL paddletail jigs on 1/8 oz jighead . Book Capt. Chris and he will teach you how to sight fish.